Please be aware that bald eagles are sensitive to human disturbance. Human activities around the nest during sensitive times of the year may cause nest failure or abandonment. Map eagle nest locations from a distance. If you have access to the internet, mapping a new nest and deriving its geographic coordinates is easiest using a program like Google Maps. 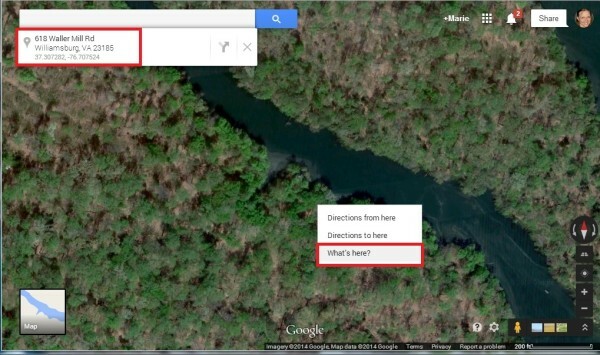 Navigate to www.maps.google.com in your internet browser. You can use the box in the bottom left corner to switch between “Map” and “Earth” basemaps.